CD Projekt RED is opening a new studio in Krakow, Poland hoping to produce smaller scale "premium" games. It would hard to blame you if someone were to mention CD Projekt RED and your mind, in turn, were to drift to big games. The developer behind the epic Witcher series and the upcoming RPG Cyberpunk 2077, the developer has built its reputation on huge titles with tremendous replay value. Hoping to branch out however, CD Projekt RED will soon be opening a second studio in Krakow, Poland where it hopes to make games that are slightly smaller in scope. "We are opening an office Krakow," said Adam Badowski, managing director CD Projekt RED. "Aside from The Witcher 3: Wild Hunt and Cyberpunk 2077, the studio aims to develop two smaller (approximately 20h of gameplay) premium quality titles." The team in Krakow, which will be about twenty people in size, will be given dominion over these two new titles. Setting aside the fact that twenty hours of gameplay is still pretty long compared to what other studios often offer, it's hard not to be excited about the prospect of new and perhaps differently styled content coming out of CD Projekt RED. The developer arguably made one of the best RPGs of this generation in The Witcher 2, and its future titles are already exciting many gamers. 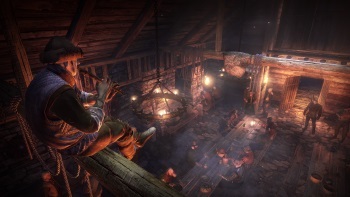 Smaller games made with the same dedication to quality that CD Projekt RED has already demonstrated are sure fire recipe for happy gamers, and hopefully even more prestige for the Polish studio.